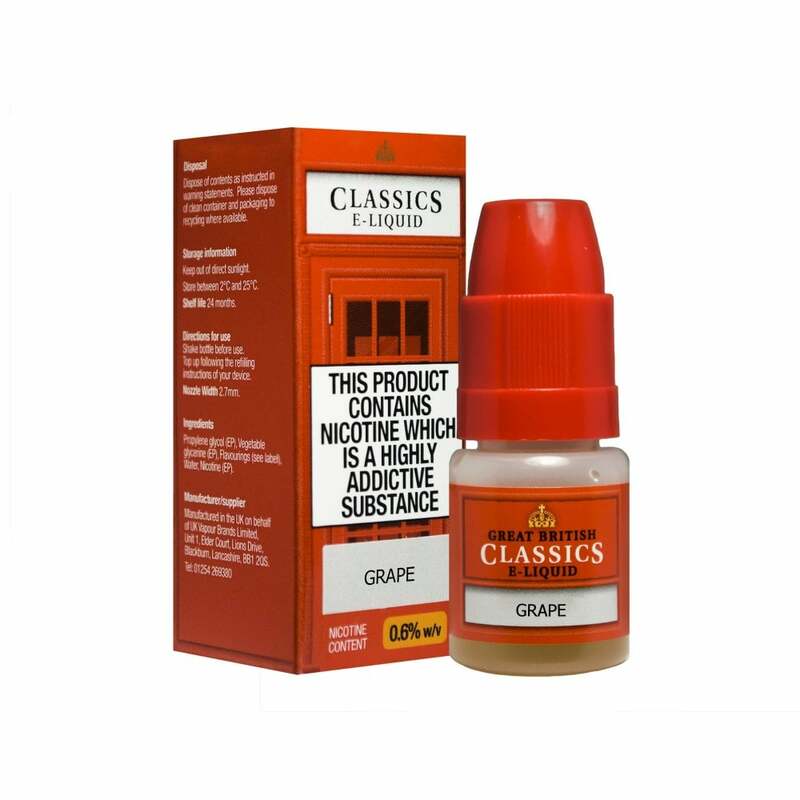 The Grape e-juice blend from Classics E-Liquid is a botanical infusion of green grapes, perfect for those that like more earthy flavours that still carry a light sense of sweetness, conjuring up British countryside of ancient Greek island vibes. Branded with a classically British red telephone box, these quintessentially English blends from Classics E-Liquid promise to deliver nothing but the finest quality vaping experience with every e-liquid option. With all ingredients sourced locally from British shores, you can do your bit for the environment while gaining a premium quality e-juice product that produces amazing flavour and huge, billowy clouds. The e-liquid contained in this product is approximately 70% propylene glycol (PG) and 30% vegetable glycerin (VG).